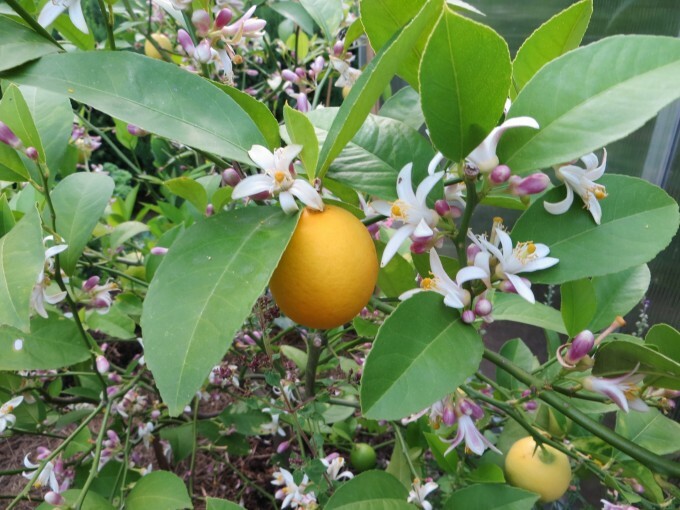 After buying a hardy Meyer lemon tree four years ago, we have surprised ourselves as not only has the tree survived well but it has provided us with interest and pleasure, and yes, sweet, fragrant lemons over the years. When it outgrew its pot we decided to transplant our Meyer lemon tree into the vegetable garden. 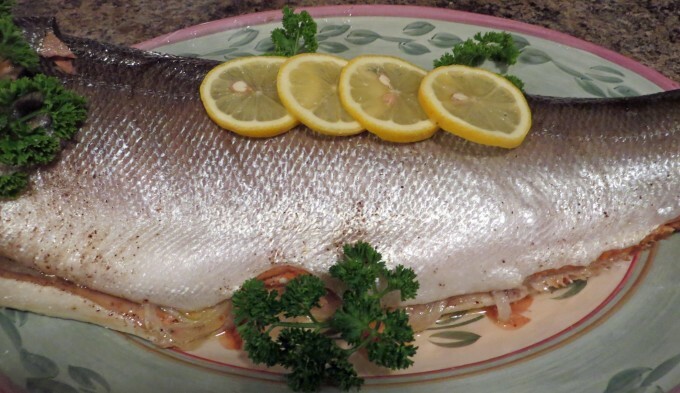 It is an ongoing story as there is nothing to compare with the joy of picking our own juicy lemons to sprinkle on a dinner of fresh caught salmon. After years of living in containers and being moved constantly Mr. Meyer, our lemon tree, had outgrown its pot and has been moved successfully to a more permanent home. It had become more of a challenge to protect and care for the tree as it grew larger and not surprisingly we found it was totally root bound when removed from its pot. The transplanted lemon tree has been outside enjoying the spring and summer warm weather for just over a month and has again amazed us by blossoming with hundreds of very fragrant flowers which the bees enjoy; it has sprouted many new leaves and is quite bushy and interestingly the small lemons on the tree have grown and ripened very quickly since transplanting. We will have to consider how to protect it over winter even though it is cold hardy. Higher than average temperatures are forecast until September, 2016 so this will be of help during the coming winter. 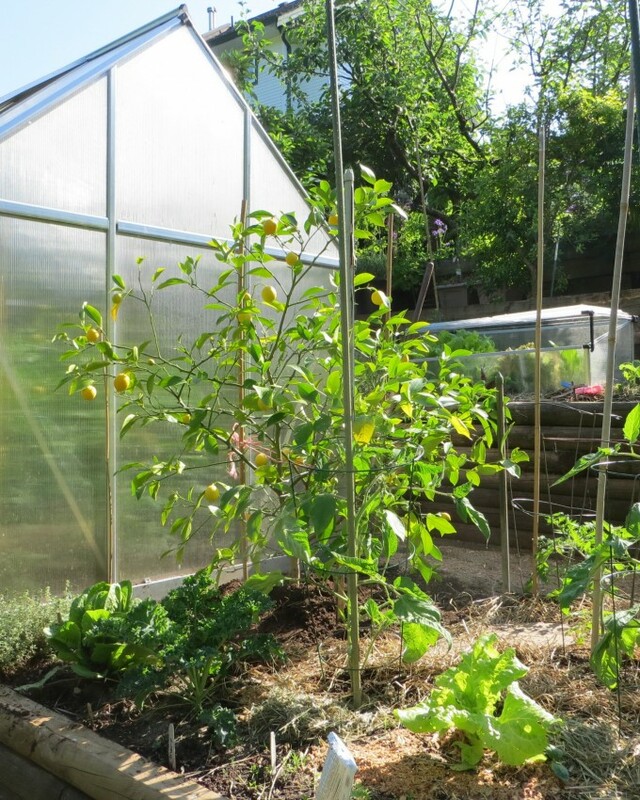 We will follow our previous care with remay cloth plus a temporary extension on the greenhouse to cover the lemon. We still have to work out the LED lights – another summer project. Mr. Meyer moved successfully ~ of course we will have to build a shelter to help the tree ‘winter over’. 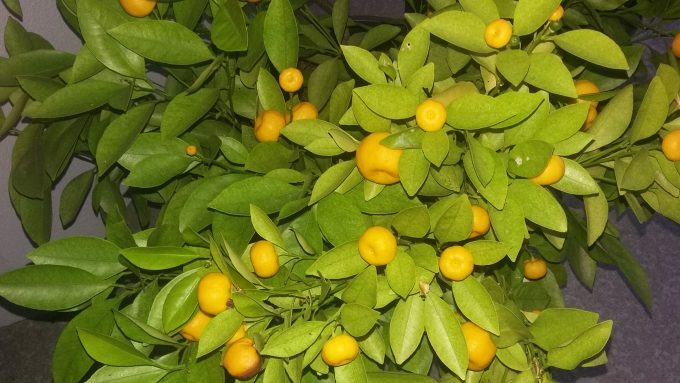 In 2016 we purchased another Meyer Lemon tree and a more hardy Calamondin (Kumquat). Both will stay in containers and will only be moved outside in our winter to a permanent, protected and heat controlled greenhouse.